The Inn on the Lake is a truly enchanting setting to enjoy a fabulous festive meal. Perfect for a pre-Christmas get together with family, friends and work colleagues. Indulge this Christmas with a fabulous six course Christmas Day lunch, served in the award-winning Lake View restaurant. Tables dressed with crackers, hats and novelties. Join us for a delicious three course Christmas day lunch, with a relaxed atmosphere. Tables dressed with crackers, hats and novelties. Relax and recover with our popular buffet brunch whilst listening to the wonderful sounds from New Orleans and Mississippi with our live jazz band – what better way to start a New Year? 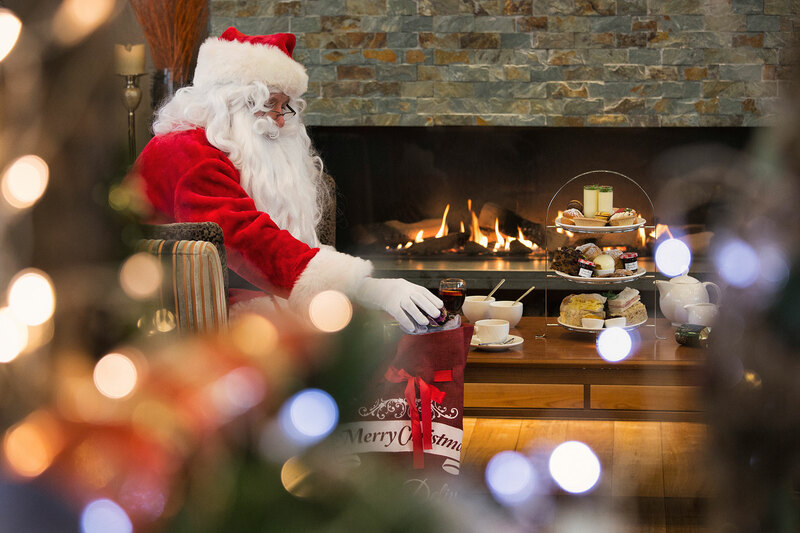 Enjoy Festive Yuletide Afternoon Tea whilst children enjoy a special afternoon tea in the Candleroom, where a special guest will be visiting with a gift for all children. Then board the Ullswater Steamers schedule sailing at 2.30pm and returning to Glenridding Pier at 3.50pm. Indulge in Yuletide Afternoon Tea in the stunning Lake View Orangery whilst listening to the talented pianist Karen West. To avoid disappointment please call 017684 82444 to reserve you table. Served daily 11th Nov - 3rd Jan 2020 12pm-5pm. Relax in the Orangery, Lake View lounge or new Candleroom and enjoy our festive specialities and delicious favourites. Come in from the winter weather and warm yourself beside our cosy fire or with a glass of mulled wine for a festive treat. A selection of finger sandwiches, savoury treats, homemade patisseries, macaroons, homemade scone, preserves, and tea & coffee.